Your baby may be ready to try new tastes and variety. Gerber infant cereals with added fruit are a great way to explore new flavors while continuing to provide the iron and other nutrients your baby needs. Iron is an essential nutrient for healthy physical growth and mental development. One serving of Gerber cereal provides 45% of the recommended amount of iron. 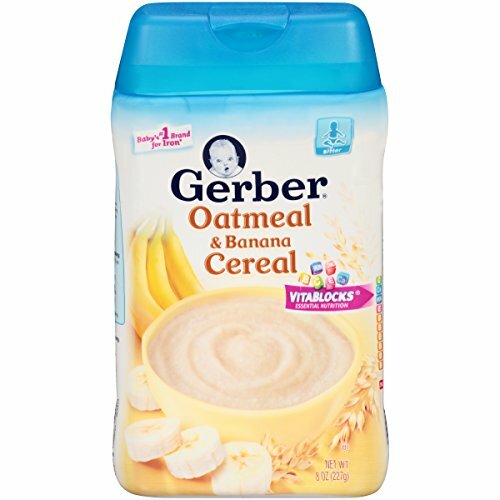 If you have any questions about this product by Gerber Baby Cereal, contact us by completing and submitting the form below. If you are looking for a specif part number, please include it with your message.